When income is low and taxes are simple, preparing your own return with the help of tax preparation software is relatively straightforward and the risks of being chosen for audit is usually very minimal. However, there are many cases, even when your annual income is low, that hiring a tax professional to prepare your tax returns is a much smarter and safer option. If you earn income from a home based job, a tax professional can help you get valuable tax credits by assisting you in claiming part of your home as your workspace. When you work from home, you may be able to count your physical space, some of your utility costs, Internet connection and other office necessities and supplies as deductions on your tax bill. A trained tax professional can help you accurately determine what amounts you can deduct as part of your home office deduction. If you move within states during the tax year, you will likely need to file not only your federal tax returns, but also tax returns for each state you lived in that year. A tax professional can help you determine what taxes you need to file and how to file them for the partial year. Filing partial year state resident tax returns helps you get the maximum refund owed you. It can also help your avoid overpaying taxes in a state you no longer reside. If you bought real estate this year, there are numerous tax credits and deductions you may be eligible to claim and receive. These credits often change annually, but they can add up to major savings on your tax bill. Credits for first time home owners, installation of energy saving heat pumps and other appliances and other tax breaks open to home buyers can help lower your tax payment dramatically. Conversely, if you made a profit off the sale of real estate, a tax professional can help you accurately report your income. Professional tax preparers can also help you claim a a loss if you sold your property in a short sale, foreclosure or under another circumstance where you did not get market value for your home or property. If you recently got married, it is a good idea to hire a tax professional to help you and your new spouse prepare your taxes. In some cases, it is more beneficial for married couples to chose to file their taxes separately rather than filing jointly. Couples earning similar incomes, couples who can claim more deductions by filing separately, and couples who simply prefer to keep their finances separate are just a few examples of why filing separate tax returns may be the best choice when preparing their returns. A tax professional can help you determine which option is best for you and your spouse. If you and your spouse divorced, a tax professional can help you determine which filing status to choose, how to claim dependents, how to treat any alimony payments your make or receive and how to handle the transfer of retirement assets in addition to other complicated financial matters caused by divorce and the splitting and division of marital assets. 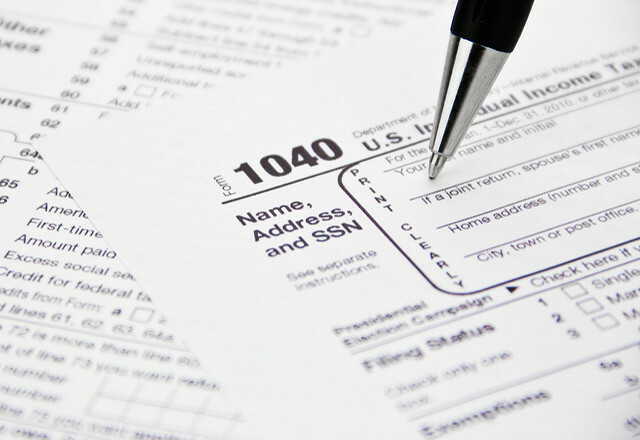 Help from a tax professional can be crucial in cases where a couple has separated but not yet finalized their divorce. These are just a few of the many cases where having the help of a tax professional can help you maximize your deductions and refund while also avoiding being flagged for an audit by the Internal Revenue Services. If your taxes are impacted by any of these circumstances or any others that are confusing to you, let a qualified tax expert prepare and file taxes on your behalf. Hiring professional help will ensure you get the maximum refund possible while avoiding the fear and hassle of an audit. I really appreciated what you said about how if you recently got married, you should have a tax professional help you and your new spouse prepare your taxes. My sister recently just got married and I’m sure a lot will change in their tax forms. Having a professional walk them through the changes and make sure they do it right would definitely relieve a lot of stress. That’s great take the advice. You’ll thank us later!